Swamini Lalitananda and Swami Sivananda Saraswathi are Hindu monks in the Sivananda order. Their mission is to support destitute children and women in India through donations from students and devotees. Swami Lalitnanda is an outstanding teacher who travels throughout the U.S. and India teaching yoga, meditation, chanting, Sanskrit, kirtan and conducting pujas. 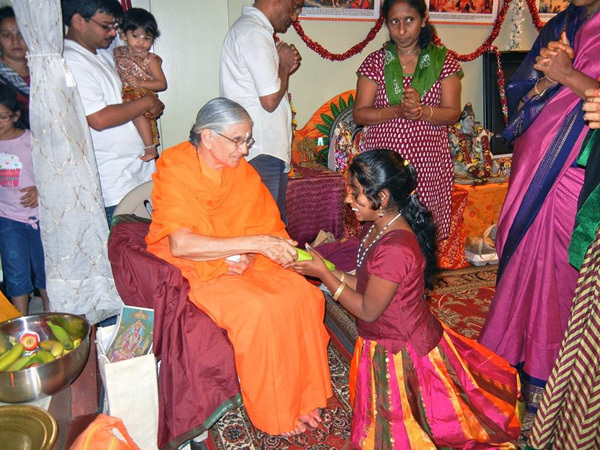 Swami Sivananda Saraswathi is in charge of the Sri Chowdappa Geetha Ashram, carrying on the work of Swami Omanandaji.